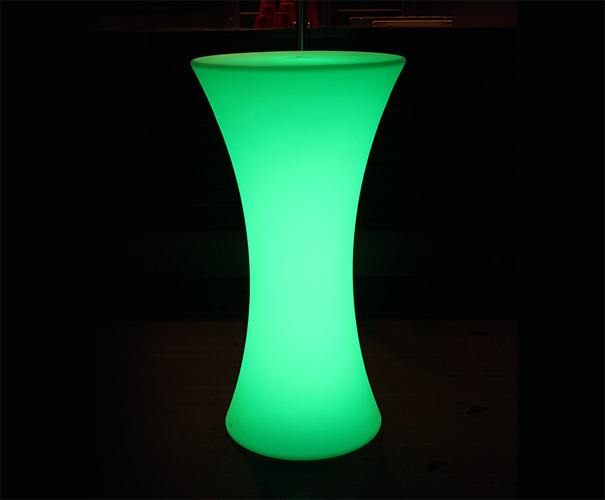 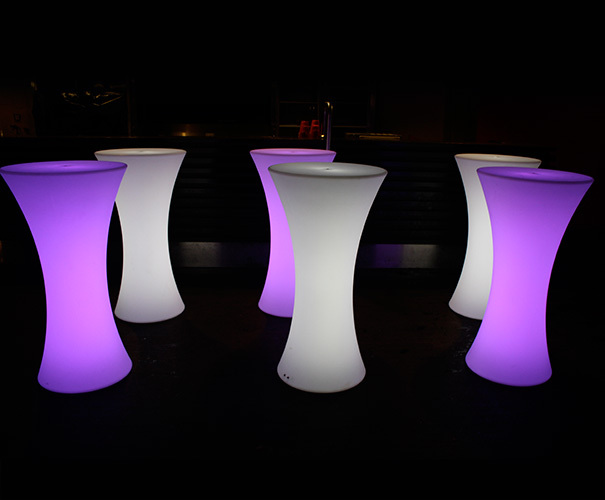 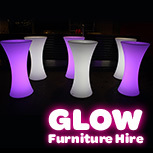 Our glow cocktail tables are a great idea for informal events and cocktail style parties. 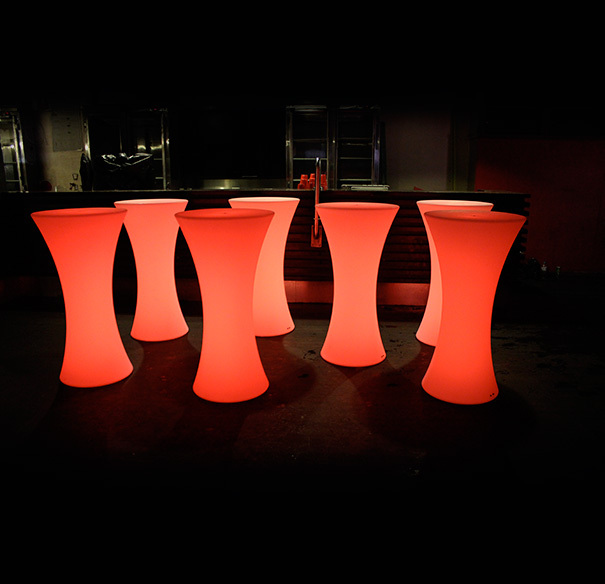 They can be placed around a room to allow people to stand around and place drinks on or to socialise. 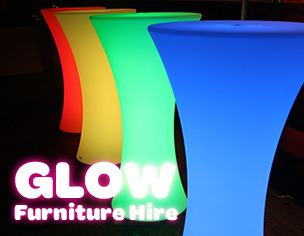 You could also look at hiring some stools to go with them for extra comfort, which we can also provide. 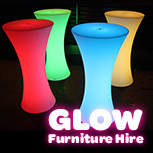 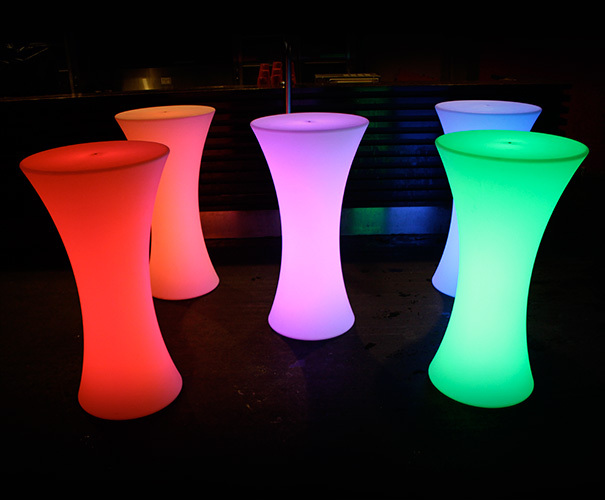 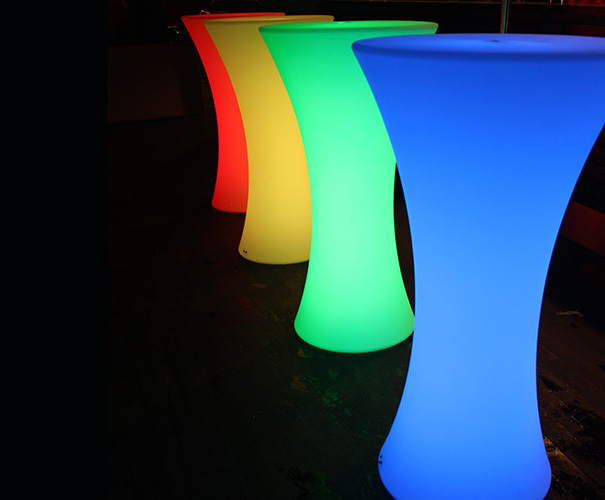 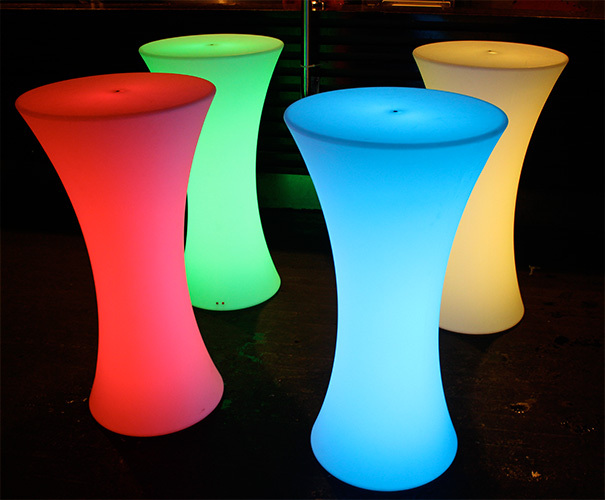 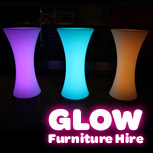 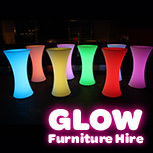 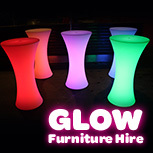 The glow tables offer a bright glow and can be set to 16 different colours. 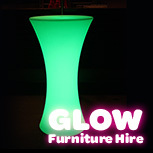 A remote control is provided, allowing you to change colours. 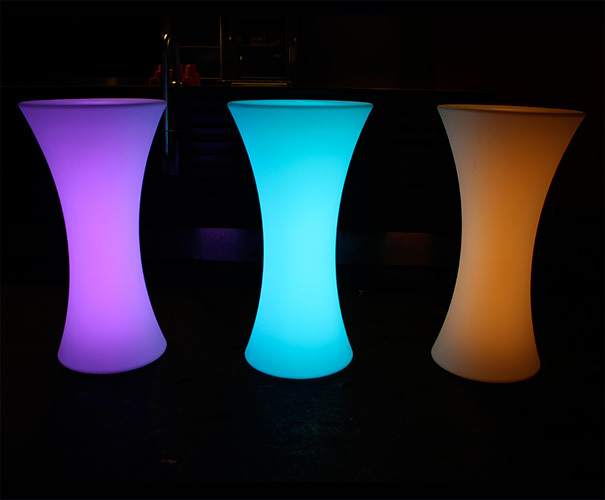 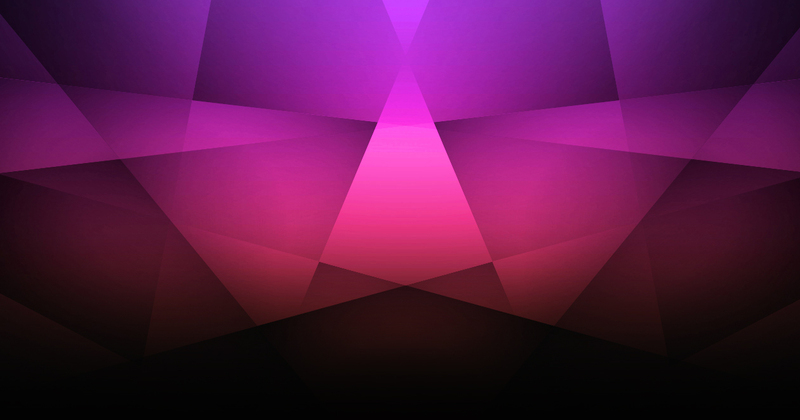 You can also change modes to make the cocktail tables fade between colours, flash or remain still. 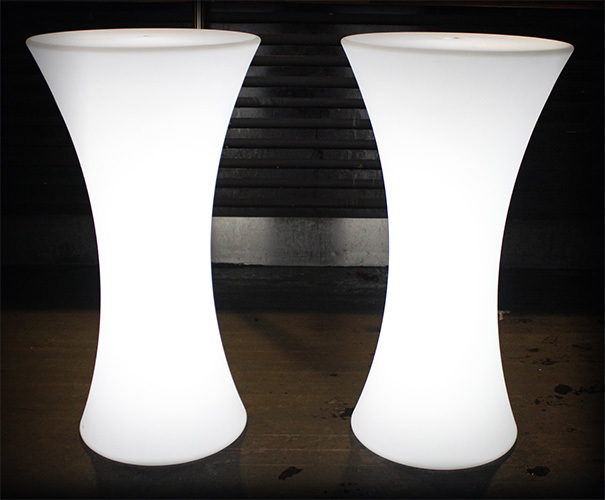 They are wireless and can be placed close or far apart. 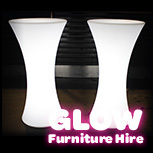 They are also waterproof, allowing them to be placed inside and outside. 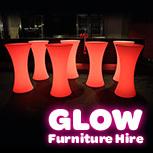 Please see our glow cocktail table hire packages below available for hire in Sydney. 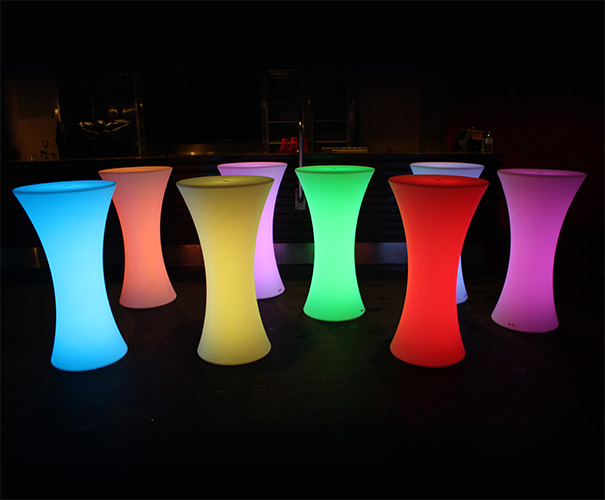 If you require more than 8 tables, please call us for a custom quote.